Through the A8 highway go out exit n°50, then towards “Promenade des Anglais” road for 4km. Go to “Quai des Etats-Unis for 110m and then turn left to “Rue Sulzer” where you can find an underground car park “Sulzer”. Absolutely LOVED our fragrance master class & the team were so warm & welcoming. I personally work in the fragrance industry & this experience opened my eyes AND my olfactory sense even more! I would highly recommend this to (& I have to many so far) anyone who wants to delve deeper into the world of perfumery & discover scents/ingredients by creating your own personal unique blend that you get to take away with you, what’s not to love?? My partner & I will treasure the experience for ever! Many thanks again! 1. We liked to smell the essence and to making decisions unfortunately without any information. 2. booking was easy but during the workshop there was no information. I think the lady also did not know about the essences and to creation of a parfume 3. I would say they should look for other opportunities if they do not find anything than they can attend to the workshop with low expectations. The perfume workshop was outstanding! A very different experience that could only take place in France. Highly recommended! 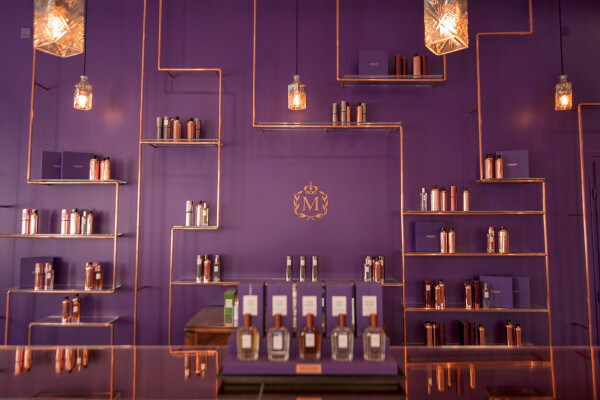 Thanks for sharing your experience at the Ateliers des Parfums ! I highly recommend creating your own perfume. I was greeted and treated so professionally and I left with a scent that I love! Thank you to the wonderful individuals that made it great experience! Both my sister and I really enjoyed the workshop. It was very informative and fun to do, plus it was great to come away your own signature sent! The whole workshop was very relaxed and well worth doing. I really liked this activity & in fact it was my best experience in nice. I love perfumes & I loved how I had to play with scents on my own. The lady was super nice in explaining everything & trying with us multiple combinations until we feel comfortable with our choices. The only thing I didn’t like is the time, we were asked to pick our notes in 30 minutes which I think was short, I felt really rushed as the time wasn’t enough to smell all the scents, & I didn’t want to rush my choices so I end up with a result I like. Definitely would recommend to friends, & I myself might do it again if I’m back at nice. Great experience in Nice!! 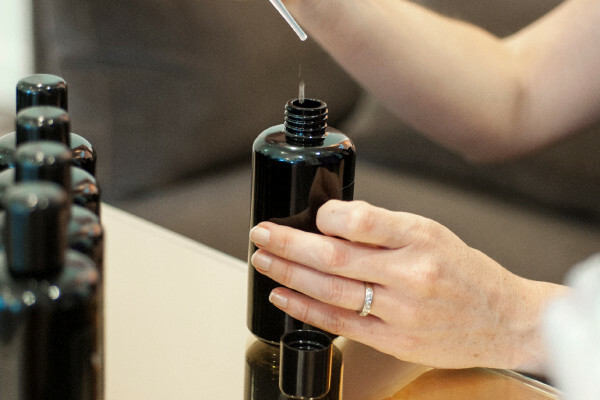 In this workshop, my husband and I created our own fragrance. Highly recomended it. My husband and I did the perfume workshop at Molinard in Nice. We were looking for a fun activity to do on a rainy morning, and found this online. It was really easy to book, and we ended up being the only two people in the workshop at that time--so it was a private class! We truly enjoyed learning about how a perfume is created, and it was a lot of fun making our own custom fragrances! It was definitely worth 69 euros, and we each walked away with our own beautifully packaged fragrance to take home. I would highly recommend this workshop. Our group of 3 had an amazing time at the workshop. It was very interesting to learn about how the scents blend together and have the ability to personalize the grouping of scents that we found pleasing to our senses. We left with a sizable bottle of our custom scent and Molinard keeps the blend on hand for reorders. Special thanks to Claudia and Felicia for making it such a memorable experience and for being so patient to help us find our scents, as well as pick out a couple of gifts for others. We had a wonderful time and haved shared with friends anf family who all want to do it!!! We liked all of it, no problems booking and yes I would recommend this to anyone! The experience was fantastic with great knowledge from the girls. It’s a great way to interact with other people from various nationalities. The smell is out out this world and the best part is creating a unique parfum tailored just for me with my favourite scents. Thank you. Wonderful experience! Go for it. Very nice location. Staff was very welcoming, knowledgeable and helpful. We created three wonderful perfumes which we still like a lot. Must go when in Grasse or Nice. Interesting experience. A bit like cooking, but in another way. What a wonderful, fabulous course, and if you forgive the immodesty, what a wonderful perfume I came away with - am delighted! By way of background, I have been on several courses on perfume-blending, I have a fair collection of perfume essences, and I have held (while admitting my amateur status) perfume blending sessions for refugees and friends. But I have never made a perfume that pleased me more than on this course - which I will now describe. Felice (I believe that was her name - sorry if I have miss-spelled it), was an excellent educator and nose, giving my group a great overview of the history of perfume and the top, heart and base notes and their effect on a scent. The wide variety of scents we had to choose from were of the highest-quality; the jasmine and violet for instance that I sampled were gorgeous. I knew I wanted a Violet-based perfume with a powdery finish. With Felice's help, that was exactly what I wound up with, after short-listing my favourite top, heart and base notes. She is obviously highly trained and very creative. Expect to see me back soon, and whatever I make in future, I will be ordering more of the creation I made at your Nice Studios. Thank you. It was a real fun and I really like the parfume. I will recommend the offer to my friends because during the activity I feel interested in it. I have got difficulties to smell all of the parfumes in just 30 min, maybe the time should be more. I have no problems to book the activity. Loved the interactivity of this. Was also very appreciative the staff accommodated a reschedule due to a flight cancellation. I really enjoyed this workshop. We were thought some very interesting facts about perfume, the different scents and how perfume is made. Overall, it's a really fun activity for anyone and everyone. I would definitely recommend this workshop to my friends. Generally, I would have just appreciate it, if we received some more support from the "experts" (we pretty much just got a 5 mins intro and then were left to mix the perfumes and scents ourselves). However, still a very positive and fun experience!